Mark's Park is a pocket-park in Upper Mount Hope. It is located on a stretch of State-owned land on the curve of Westmoreland Drive (between house numbers 139 and 203) and overlooking the Erie Canal and trail. It was named after Mark Wunder, a resident of Castleman Road who maintained the area from 1970 until his death in 1998. 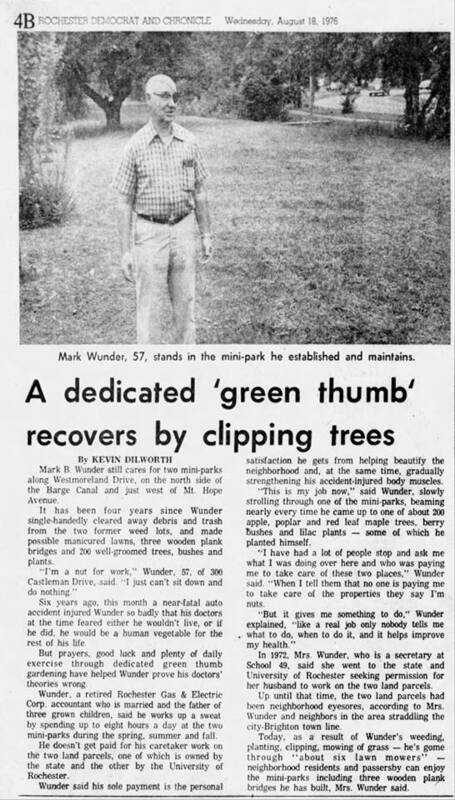 In 1970 Mark B. Wunder, a resident of Castleman Road, was in a near fatal auto-accident. The accident left Mark partially disabled without sight in his left eye. 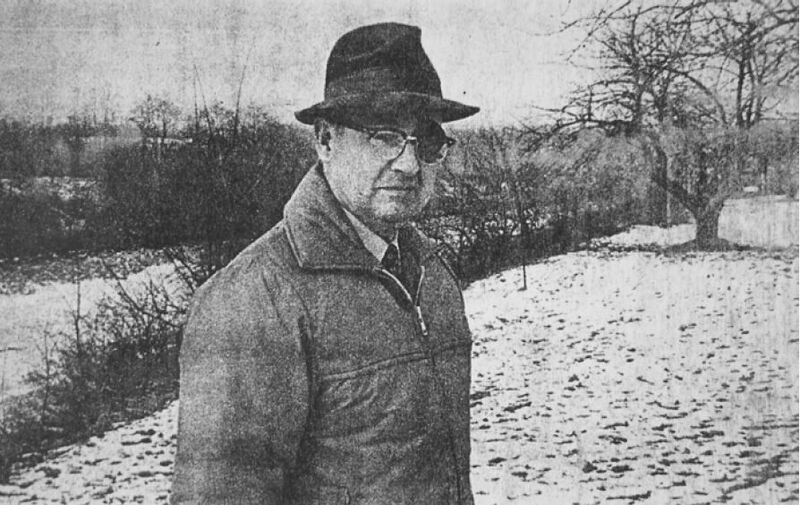 Mark Wunder was never one to sit idle, and being unable to return to work he focused his efforts and attention to two small parcels of land near his home. Mark spent hours working to rehab his muscles. He walked the neighborhood and canal path. He picked up debris along the canal path and eventually focused his energy on a stretch of land above the canal bank. This area was basically a weed and trash infested lot. He worked steadfastly to clear this area. He could be seen trudging behind his wheelbarrow, loaded with tools, heading for his special spot. After months of Mark’s hard work, six truck loads of debris had been hauled away by the city. The lot was finally cleared. Two bridges were constructed over the ditch, between the sidewalk and State land. Apple trees were pruned and other trees and shrubs were planted. Tulips and other spring flowers blossomed. Mint grew along the edge of the ditch. Lawn mowers (a total of 10 over all the years) were used instead of the wheelbarrow. After many mowings and top seedings, a decent ground cover was established. Neighbors walked their dogs in this newly-cleared area, and children played and picnicked there. Somebody posted a sign proclaiming it “Mark’s Park.” A local newspaper wrote an article on this project, and Mark won a beautification award, as well as a Democrat & Chronicle “Valentine of the Year” award. But, alas, Mark became tired and weak, and could no longer care for his park. In 1998, after twenty-five years of lovingly caring for his project, Mark Wunder passed away.